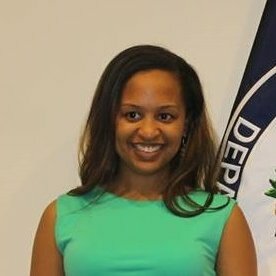 Kelley Whitson is a State Department Foreign Service Officer currently serving in Copenhagen, Denmark. Her first tour was as a Vice Consul in the U.S. Consulate General in Monterrey, Mexico. She received her MA in 2012 from American University and a BA from Spelman College in 2009. After the Rangel Summer Enrichment Program, she worked for the Department of Transportation and became a Fulbright English Teaching Assistant in Terengganu, Malaysia.